Feel the Need for Seed! 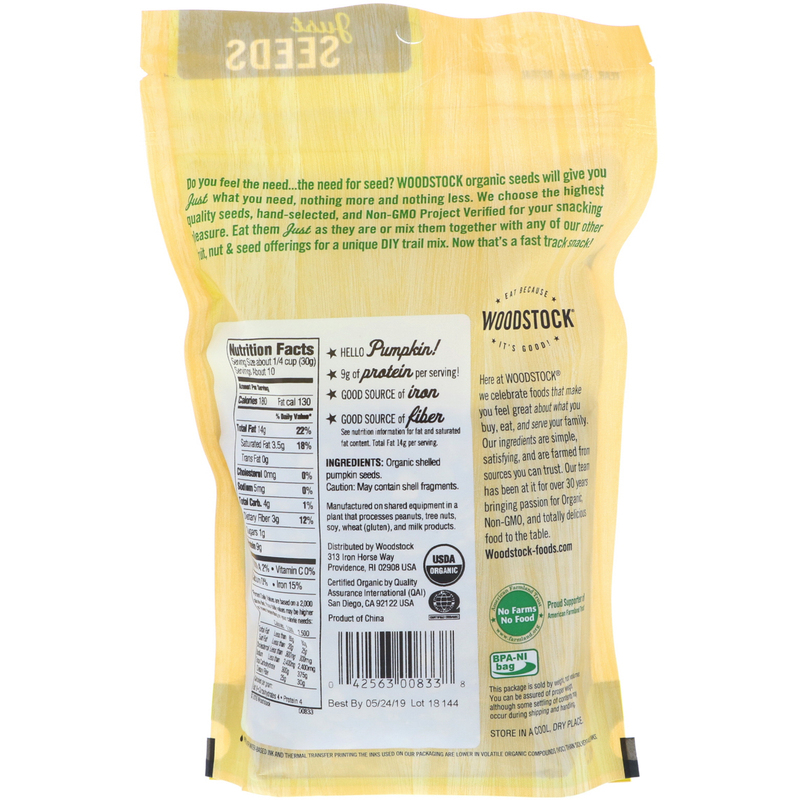 9 g of Protein per Serving! Do you feel the need... the need for seed? Woodstock organic seeds will give you just what you need, nothing more and nothing less. 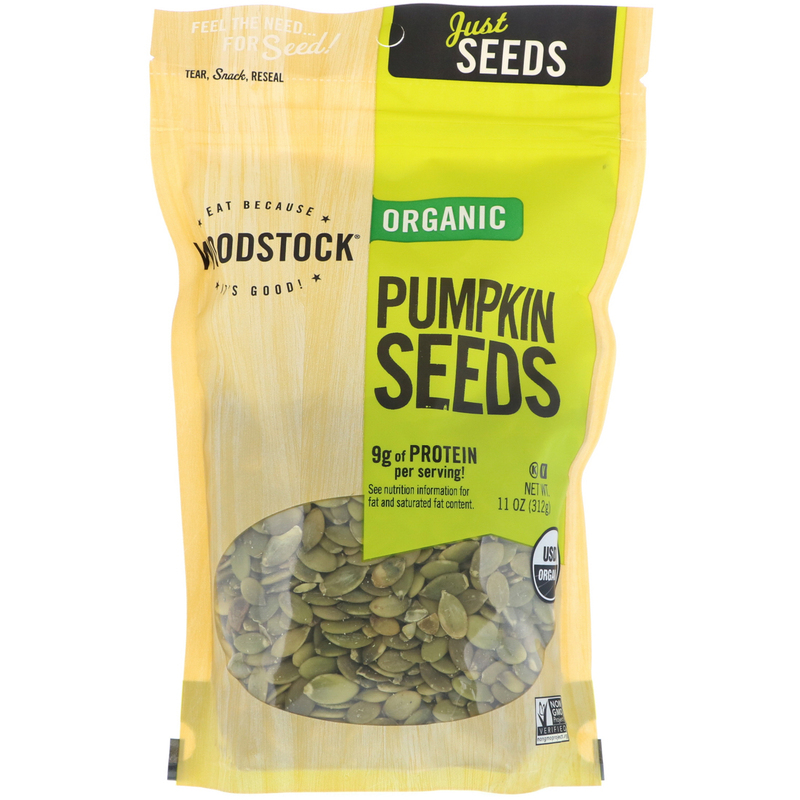 We choose the highest quality seeds, hand-selected, and Non-GMO Project Verified for your snacking pleasure. Eat them Just as they are or mix them together with any of our other fruit, nut & seed offerings for unique DIY trail mix. Now that's a fast track snack! Here at Woodstock we celebrate foods that make you feel great about what you buy, eat, and serve your family. Our ingredients are simple, satisfying, and are farmed from sources you can trust. Our team has been at it for over 30 years bringing passion for organic, non-GMO, and totally delicious food to the table. See nutrition information for fat and saturated fat content. Total fat 14 g per serving. Caution: May contain shell fragments. Store in a cool, dry place. This Package is sold by weight, not volume. You can be assured of proper weight although some settling of contents may occur during shipping and handling.